Toyota of Killeen Lifetime Engine Warranty comes with every new vehicle. 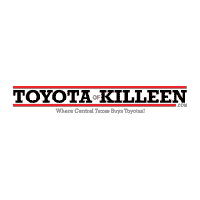 It’s a limited, non-manufacturer warranty provided by Toyota of Killeen. Leave in a vehicle that will give you peace of mind for as long as you own it. Who backs the Lifetime Engine Warranty? The Lifetime Engine Warranty is backed by Zurich Insurance Company. Zurich is one of the largest insurance companies in the world and the largest automotive dealer insurance provider. The company can trace its roots in the U.S. automotive industry back to 1922, with the founding of the Universal Underwriters Insurance Company. It’s an A+ rated company. The Lifetime Engine Warranty applies to all new vehicles. How long does the Lifetime Engine Warranty last? The Lifetime Engine Warranty is valid for as long as you own the vehicle – for an unlimited time, unlimited miles. Nothing. The Lifetime Engine Warranty comes with the selling price of the vehicle. What is covered under the Lifetime Engine Warranty? The lifetime engine limited warranty covers engine components and related labor. All internally lubricated parts contained within the engine block and cylinder head(s) including: piston, piston rings, wrist pins and bushings, connecting rods and rod bearings, crankshaft and main bearings, camshaft, cam chains, cam bearings and cam cover, timing chain, gears, tensioner and guide, variable valve, timing parts, rocker arms, shafts and bushings, rocker arm pivots, adjustments screws, spring and tension controller, valves, valve seats, valve springs, valve spring retainers, valve guides, valve push roads, hydraulic valve lifters, oil pump, oil pump drive, shaft and gears. Cylinder head, engine block, and rotor housings when damaged as a result of the failure of a covered internally lubricated part. Seals and gaskets when required in connection with the repair or replacement of a covered part. Coolant, lubricants and oil filters when required in connection with the repair or replacement of a covered part. If I sell the car does the Lifetime Engine Warranty go with it? No. The Lifetime Engine Warranty is not transferable. If you buy it from us, it’s good for as long as you own the vehicle. See dealer for complete list of warranty details and disclaimers.